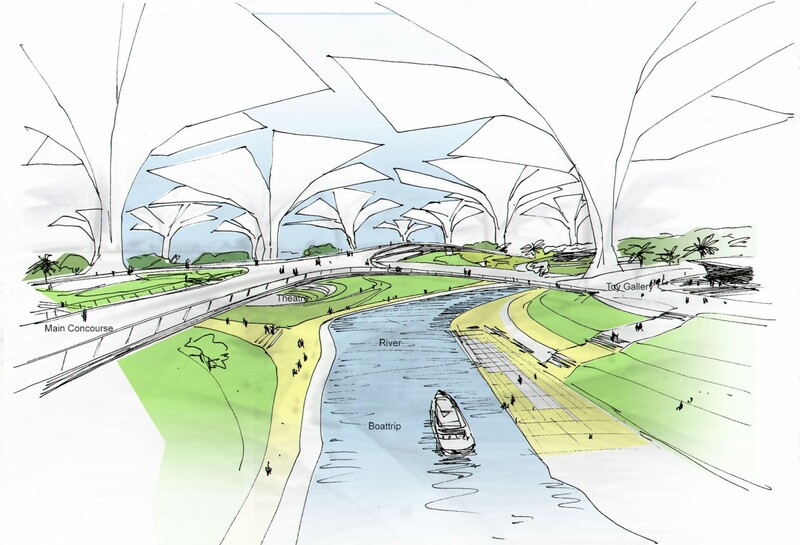 The concept for Senscity was first developed for a client in the United States, then modified to suit the demands of another site, with a slightly different climate in the United Arab Emirates. 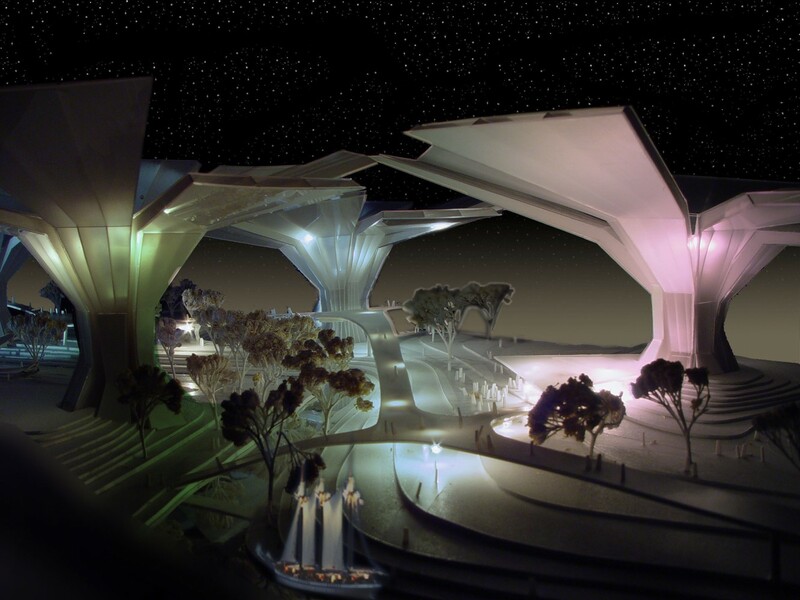 The project combines elements of a typical theme park, such as a game arcade, theater, auditoria, restaurants, public gardens, and exhibition spaces, and a series of playgrounds. A primary objective of the project is to create a leisure park for families that also serves as a large-scale inhabitable educational tool capable of demonstrating nature and natural laws. 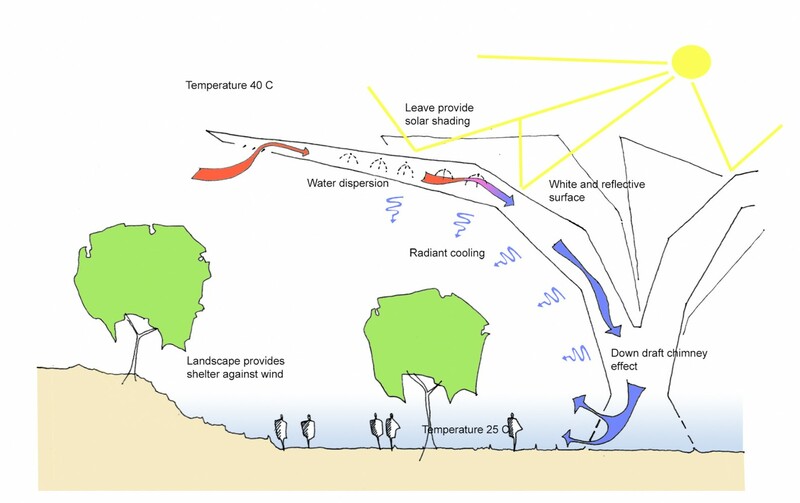 Visitors will be able to directly experience how the forces of the inhospitable local climate – sun, wind, and extreme temperature ranges – can, through a progressive, sustainable design approach, be tempered to benefit the immediate microclimate, creating an oasis in the midst of the desert. Reduced consumption of non-renewable energy will be an essential element of the design concept. 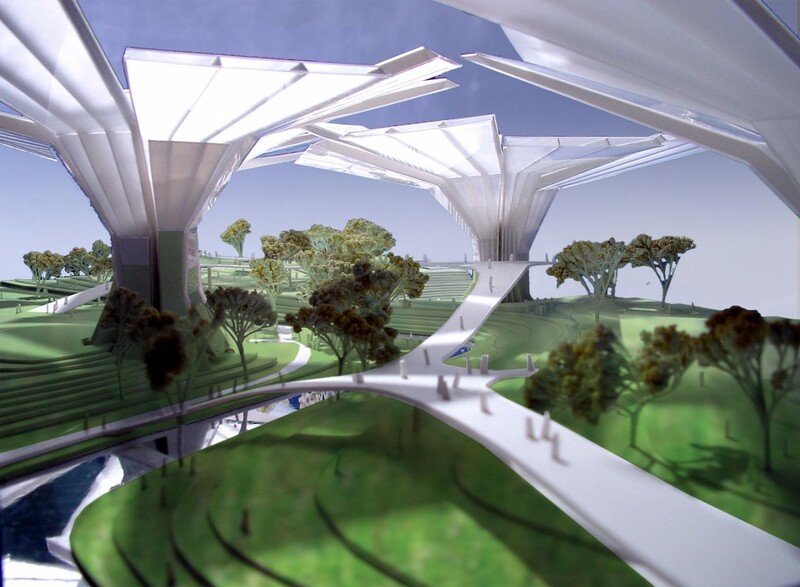 An integrated design process between the architect and the structural and mechanical engineers led to the development of a series of innovative, multi-purpose ‘flower-like’ structures which will span large parts of the park, providing both shade and cool air. A desert climate affords an ideal opportunity to take advantage of the phenomenon of evaporative cooling, this is instigated by pumping water through hollows in the leaf forms. While the evaporating water on the leaf cools the surrounding air, the flower height causes them to act like chimneys, with a stack effect generating beneficial down-draft airflows. The leaves are envisaged as energy collectors as well: photovoltaic cells or solar collectors within their construction are capable of transforming radiation into electricity or heat. 86 ha / 9,256,962 sq.ft.